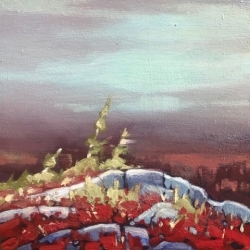 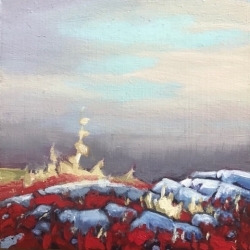 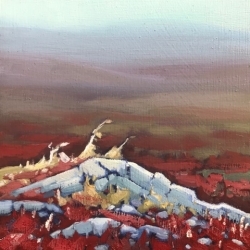 Born in Krakow, Poland, and having lived at a young age in Kuwait with her family, Elzbieta Krawecka then moved to Canada to receive her formal art training at the Ontario College of Art and Design (OCAD, 1989-1994) where she also participated in OCAD’s Off-Campus Program in Florence, Italy (1992-1993). 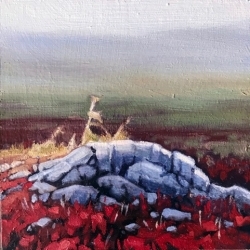 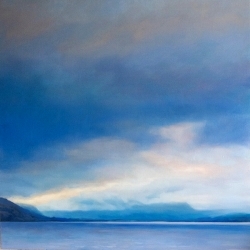 She has been exhibiting her work throughout Canada since 1997. 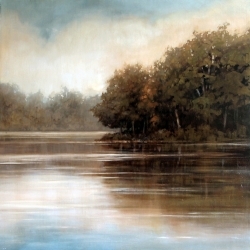 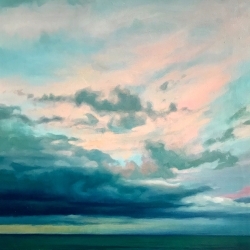 Krawecka has mastered several of the old European painting techniques, while continuing to pursue international travel as an activity that deeply inspires her work. 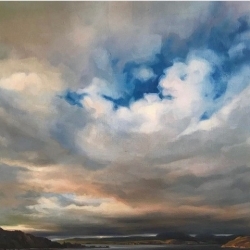 Her most recent trips have concentrated on exploring Canada; Yukon, the west coast , Newfoundland where she returns every year and the Canadian Arctic. 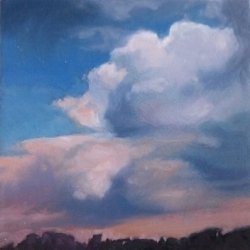 With their low horizon lines, sculpted cloud formations and chiaroscuro lighting, Krawecka’s swelling skyscapes recall the compositional techniques reminiscent of Van Ruisdael’s View of Haarlem from the Dunes at Oveveen (1670). 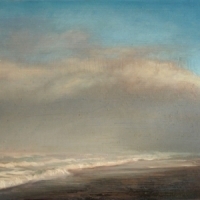 Continuing the tradition of seventeenth-century Dutch landscape paintings, where the sky or water fills almost three-quarters of the picture space, Krawecka’s personal take on the landscape is further touched by the quality of her own contemporaneity and nostalgia for turner’s subtle treatment of light and space, Caravaggio’s dramatic use of tenebresco, Monet’s organization of tone and pattern, and the forceful energy of nineteenth-century Polish painters like Chelmonski, Gierymski and Kotsis. 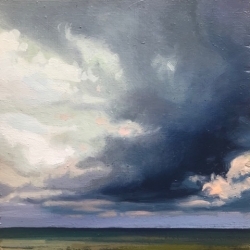 Krawecka's paintings depict large open spaces, such as skies and surfaces, defined by pattern formations which seem to always be on the brink of change. 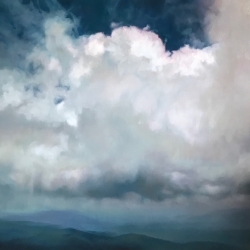 Her skyscapes are an ongoing exploration of the nature of light and its potential to describe space in terms of movement. 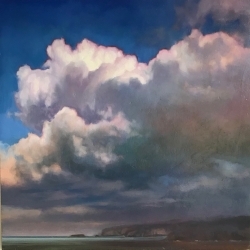 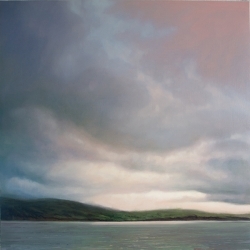 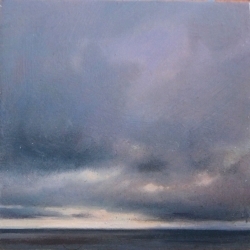 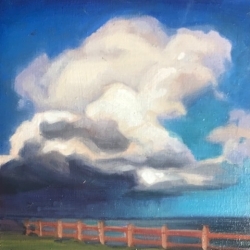 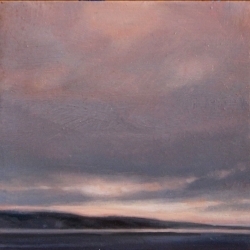 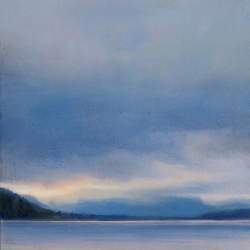 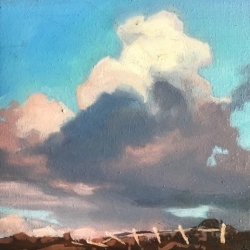 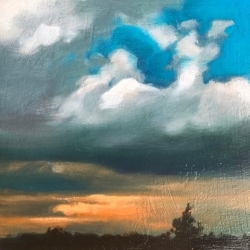 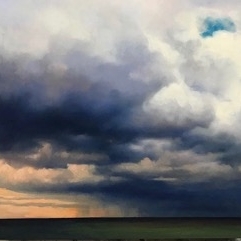 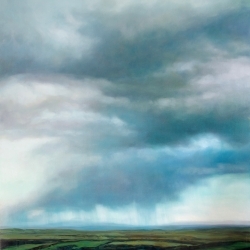 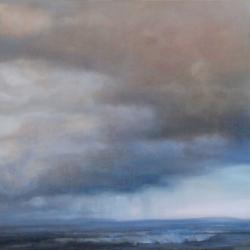 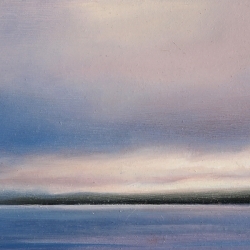 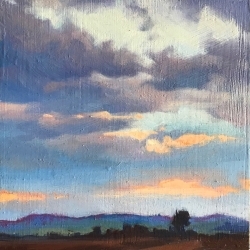 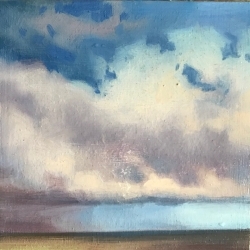 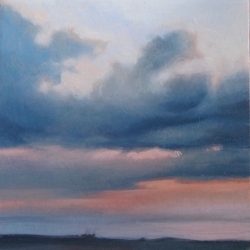 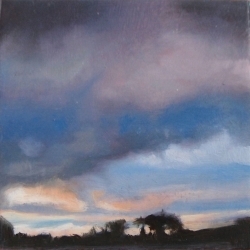 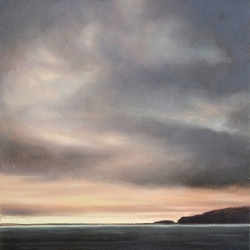 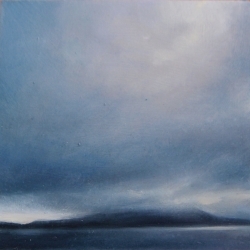 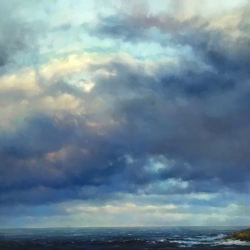 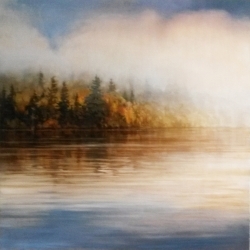 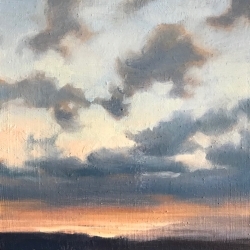 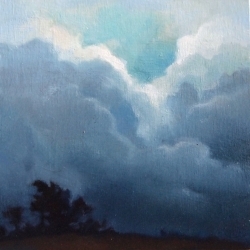 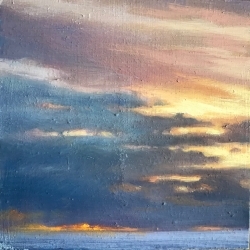 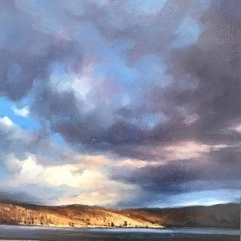 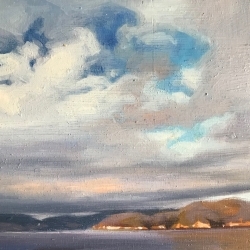 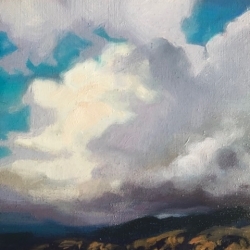 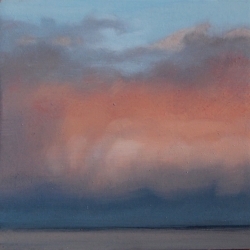 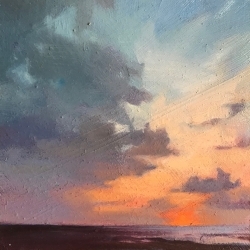 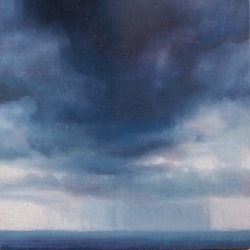 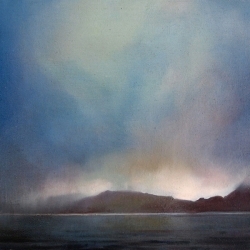 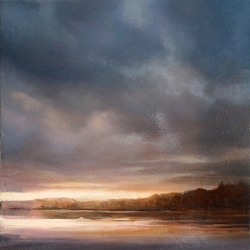 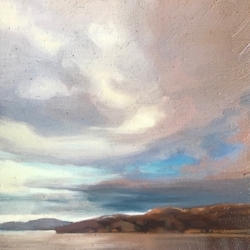 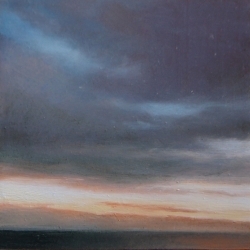 In her approach to the ever-changing subject matter of landscape, Krawecka strives to capture the constant movement of the skies and of light itself, which results in an atmospheric blurring of boundaries between masses of land, bodies of water, and sky - between solid and void, matter and light. 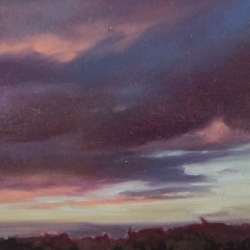 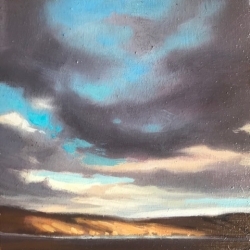 At times seeping with the rich hues of a sublime sunset or the brooding darkness of an impending storm the paintings are at once inviting and ominous to the viewer. 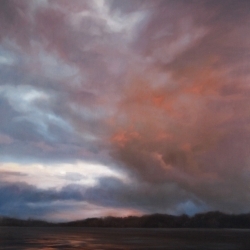 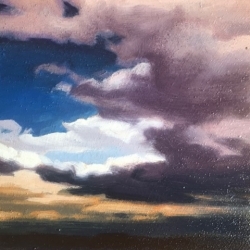 Despite the variance among Krawecka’s skyscapes, the ultimate thesis underlying her series is the ubiquitous nature of the sky. 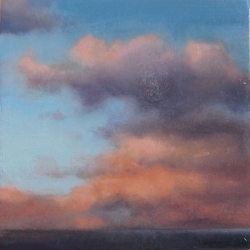 This is to say, the sky refers to a universal space of collective, rather than individual, memory.